A great company to work for and one we have had a relationship with for over 10 years. 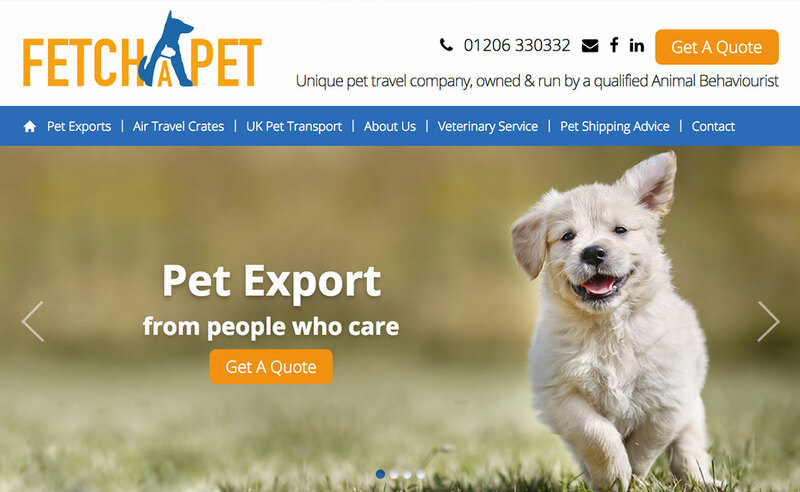 Previously we had built and managed both website and google campaign for the company under another name, with 2015 seeing us rebrand and recreate both website and Google marketing alike. 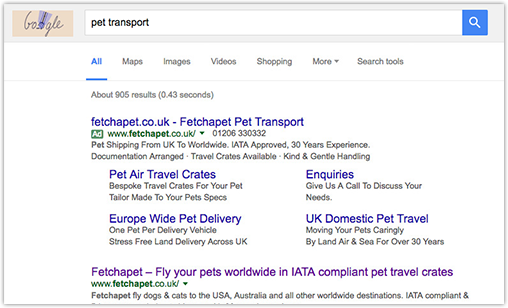 For Fetchapet, the market was changing quickly, as was their focus. 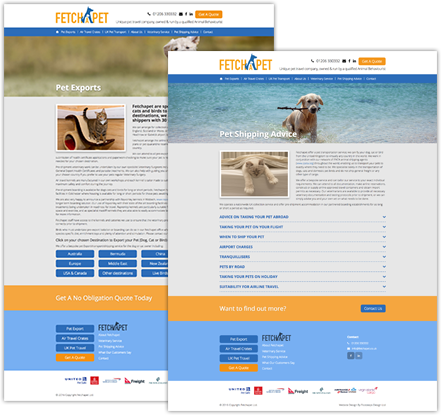 We worked to create the new brand and website to reflect that and the results speak for themselves with excellent feedback from existing and new business. 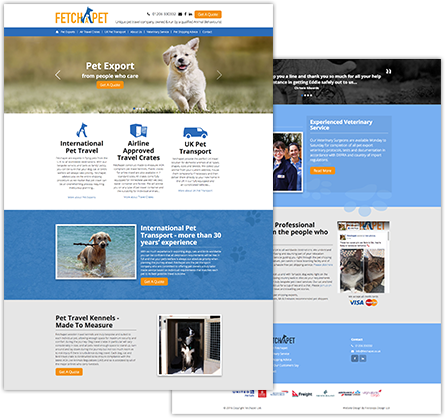 We needed to create a fun, but professional feel to the website, as the topic is personal. To their owners pets are everything, part of the family. 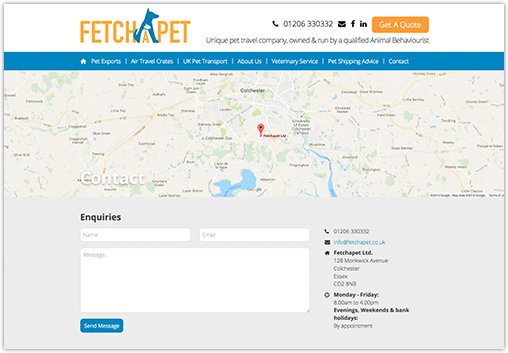 The site needed to reflect that but at the same time show a professional attitude so that the owners would feel comfortable that their ‘family member’ is in good hands. 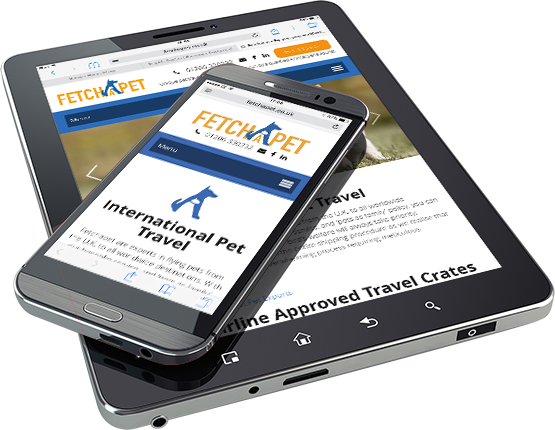 The site needed to be easy to use, as is the necessity of websites these days, and useable on the mobile and tablet platforms. It needed to have information readily accessible without appearing to content heavy. Because we were running the Google campaign, were able to directly create the landing pages to work in conjunction with the campaign, to good effect.